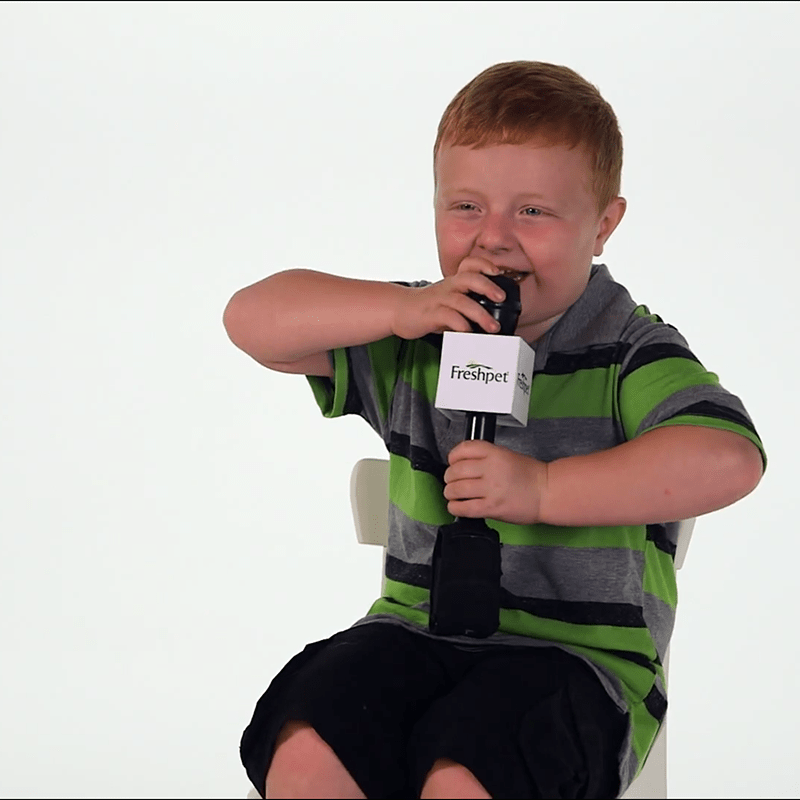 We teamed up with the Apparently Kid to talk all things pets! The moment we first saw Noah Ritter, we collectively fell in love with him here at Freshpet. Charmingly known as the "Apparently Kid", you may know him from his interview with a local news team that became an internet sensation, or his recent appearance on The Ellen Show. Just a few short weeks later, we found out that he was an avid pet lover (he has two dogs at home, Simba and George) and a neighbor of ours. And we knew that Noah has big dreams to become a paleontologist one day - and could probably use some help getting there. So, we jumped at the chance to team up with him and share his thoughts about dogs, dinosaurs, and fresh food for pets in Noah's very first commercial. Noah was a complete star on our set and a joy to spend time with. Whether he was laughing with the crew, eating his favorite chicken nuggets with Grandpa, or just sharing tips about his favorite games with us, his exuberant energy and unique intelligence shined through just as much as his love of the four pups on set. At the end of the day, we surprised Grandpa and Noah with a trip to Disneyland and a scholarship fund to help Noah gain the education he needs to achieve his dreams. We were over the moon to be able to do something for a kid who has made America smile. We're so excited to share his video with you. Apparently, it was a very great day for all. He's adorable. Fresh Face, great energy...just happy. You were smart to hire Noah, he's trending now, and he's real. The fact that you are encouraging an education and helping fund his education is fantastic. Kudos to Freshpet.